Valencia has the tools to take top position here, but I’m not sure what he does once he gets there. Tamura has a very underrated guard, where he can completely neutralize any offense Valencia tries to mount. On the feet, Tamura should have no problem with the smaller Valencia, who can pack a little power for 135, but brings far fewer tools than Tamura, who has kicks and knees to complement his punches. Tamura is simply the more talented fighter here, and while Valencia has heart, I don’t think it will be enough. This screams decision, but I’m confident Tamura will be on the right end of it. Bet $100 to win $95. Very attractive line in a pretty even fight. Wineland is notoriously tough and dangerous on the feet for a bantamweight, but he’s going to be incredibly outsized by Roop, who will also bring the superior grappling skills. 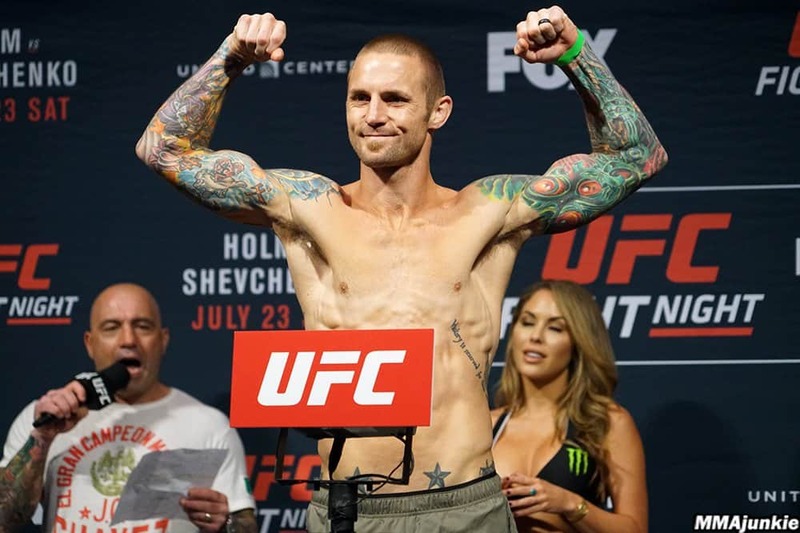 Wineland hasn’t evolved much as a fighter, and while his tools are good enough to be a gatekeeper and showcase fighter at this point, Roop is in a must-win situation and should have the size and grappling ability to do it. This is a very odd fight, so don’t get careless with your betting size. Bet $100 to win $230. I have few rules in MMA betting, but one of them is “Never bet against UFC matchmaking.” This is a 15 minute stand-up fight to showcase a talented striker. Leben will never be a contender again, but he still has the heart, willingness to trade, and iron chin that makes him a good showcase piece for strikers. He will always fight on the feet regardless of how outclassed he is, and he will keep coming forward even if he is walking into strikes. Jay Silva is VERY green, but Leben offers almost no threats to his game in what is essentially a showcase fight for a talented up-and-comer. Bet that Freddie Roach has given Jay Silva the tools to counterstrike Leben’s zombie style, and look like a genius with your friends when he rearranges Leben’s face. Bet $200 to win $290. This is another line that just doesn’t show adequate respect for the solid if unflashy Lentz. Lentz brings some decent striking and good wrestling, but what he’s probably unheralded for is his ability to gameplan and understand how to win. Tavares has been prematurely tagged as a phenom since Joe Rogan took an early liking to him, but what’s really here is a fighter whose improvements have been largely disappointing. Lentz is battle tested, and while he’s going to have problems with Tavares if he lets him run his grappling game on him, I think he has the striking and ability to stay on his feet to give Tavares fits. Even fight to me, which makes +180 a pretty attractive line. Bet $100 to win $180. There are just too many decent looking bets this weekend to choose just a few, so here are some others I’ll be playing as well. Enjoy the events and good luck!